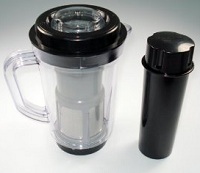 If you own a Magic Bullet, you may know that there is a Magic Bullet juicer attachment to turn this little blender into a juicer, but does it do the job? If you want a serious juicer, the answer is probably no. The Magic Bullet is great from what it is really meant to do–chop and blend small amounts of things quickly and easily. It is also very easy to clean. If you want to make a smoothie…it will work well and is a lot of fun. 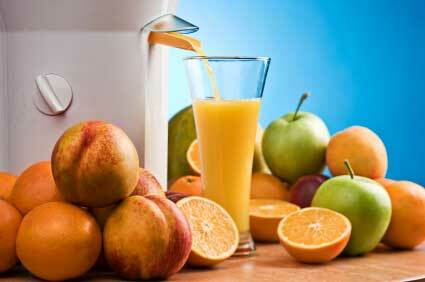 Like any blender, you actually have to add some liquid to or the fruit will just get jammed and not blend. Once you add juicer to fruit, you can get a great treat. However, if we are looking at it as a juicer….even with the optional juicer attachment, it is very disappointing. This does work a little bit for some really soft fruits if you cut them up into really small pieces. However, we found that the holes to let the juice through after it is blended clogs up very quickly and then lets large clumps into the juice. You cannot use this for carrots, beats or anything even a little hard. Cucumbers we a problem as well. If you try to put anything hard into the juicer, it will clog it up and make a big mess! If you are looking for a cute little blender, the Magic Bullet bullet might be right for you. However, we do not recommend the Magic Bullet juicer attachment for anyone who is serious about juicing—even on a small scale.